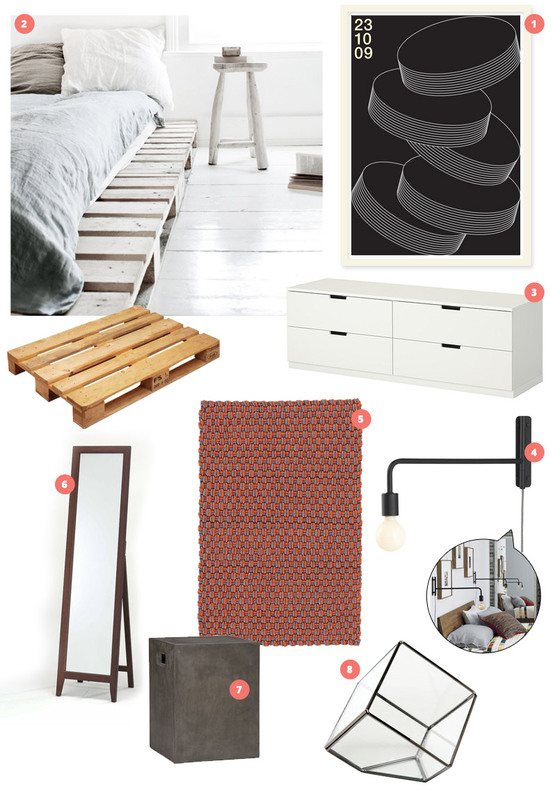 Not everyone enjoys doing math, but we definitely had some fun putting together a bedroom under $1000. 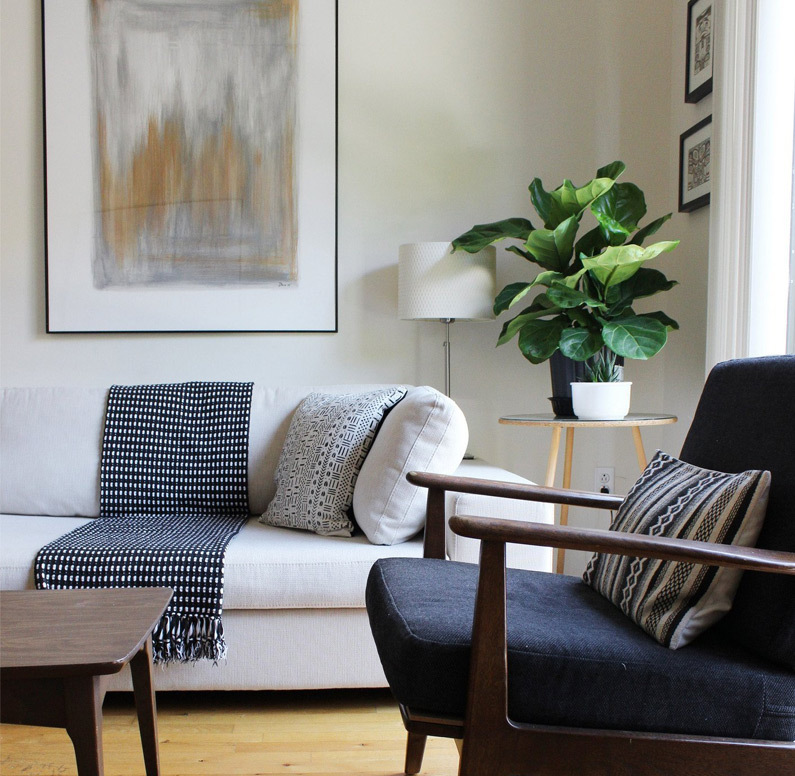 Working around Joanne Pang’s “Drink Some Clouds #3”, we brought together some affordable pieces of furniture and with some DIY, came up with a rather modest and Scandinavian look, plus some spare change to buy some pillows! 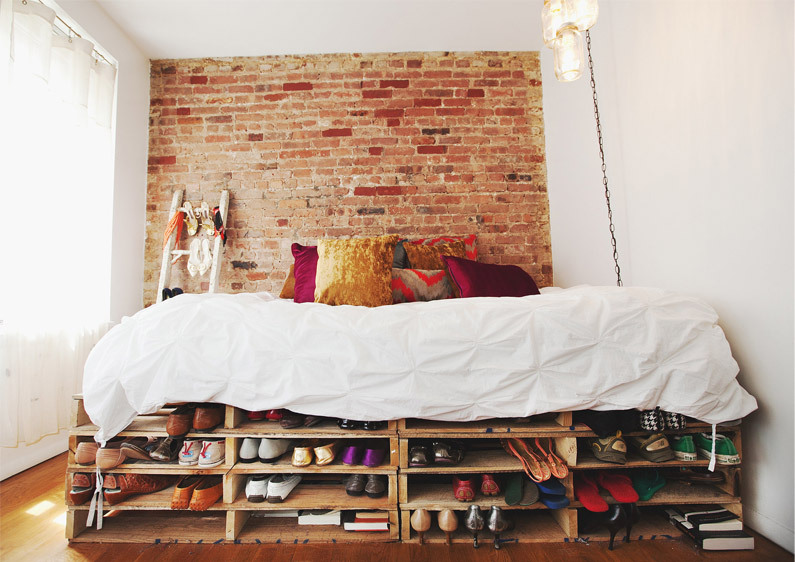 Bed frames are very expensive, but it’s hard not to do with one in your bedroom. Thankfully, pallets are not expensive, in fact you might even find some for free. 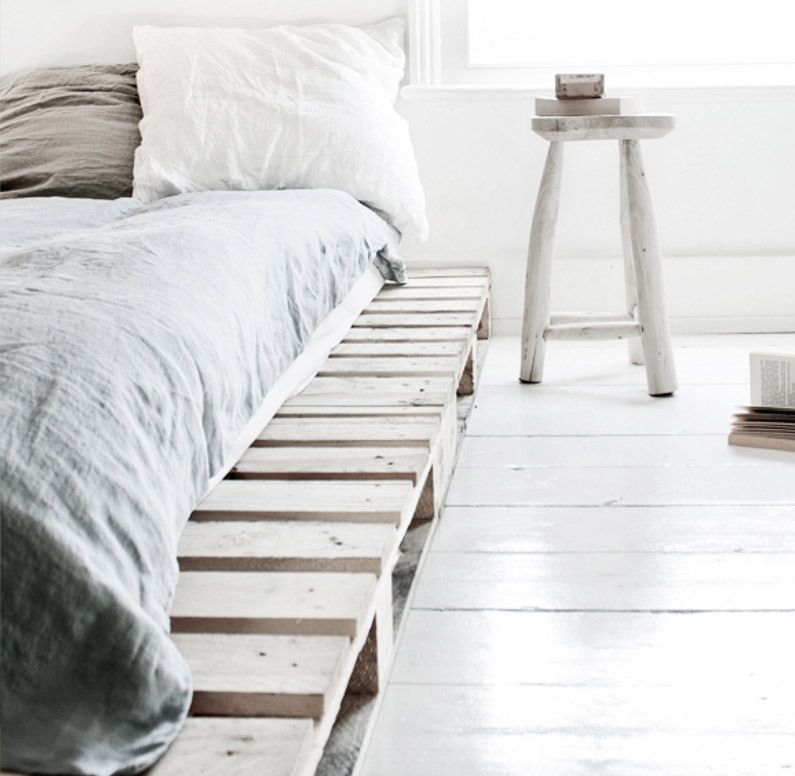 You can make your own simple bed frame with any number of pallets to fit your mattress! 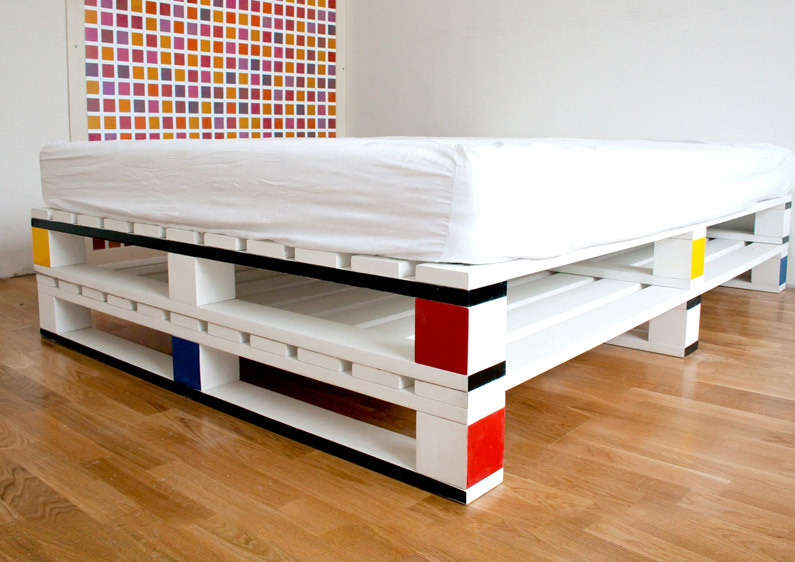 This handy trick will not only save you a good chunk of money, but you can paint the pallets to any color to fit your bedroom design. Avoid pallets used in grocery stores as they are prone to food spillage, which means bacteria and mould! Avoid pallets with oil or chemical stains. Look at the condition of the nails. Avoid pallets with rusty or twisted nails. Look for pallets the ‘HT’ stamped on it; HT stands for heat-treated, which means the wood has been “cooked” to remove moisture and kill fungi, as opposed to being fumigated. ‘HT’ pallets are better and safer. Wash the pallet with soap, water, and possibly even bleach, then dry it out in the sun completely. Sand it down to remove splinters.